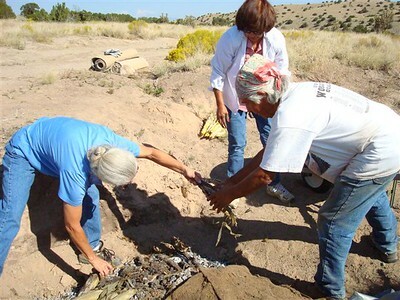 A beautiful fall weekend at Hamaatsa, learning how to roast sweet corn (from a local grower) in a covered pit in the earth. 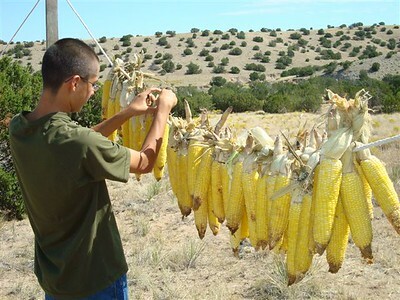 The corn was ununcovered the next morning, and we spent the day learning traditional Pueblo braiding and drying techniques for making chicos. 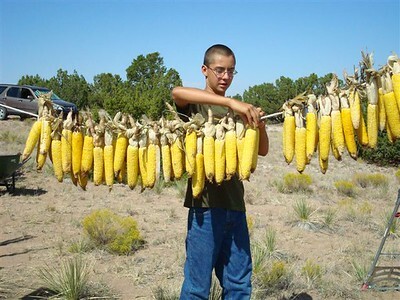 (roasted dry sweet corn). 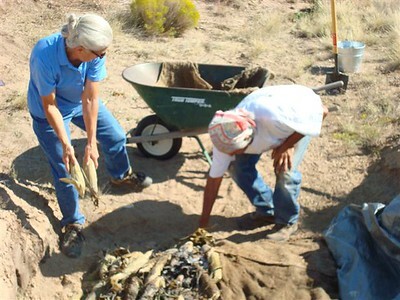 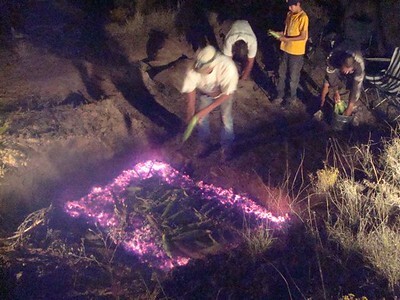 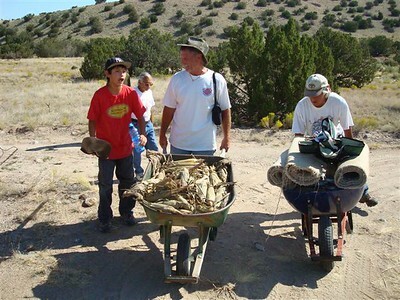 The two day program culminated with making fresh green chile chico stew at base camp! 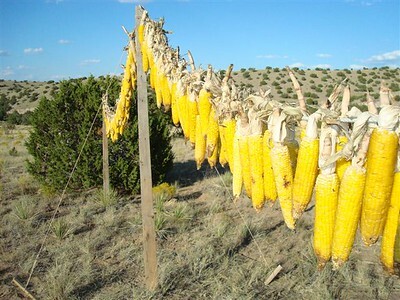 Roasted sweet corn, braided and hung to dry during crisp sunny fall days. 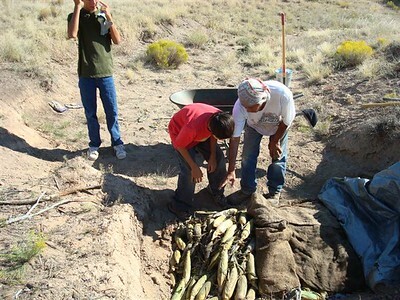 Hot bed of pinon coal ready to add corn to roast. 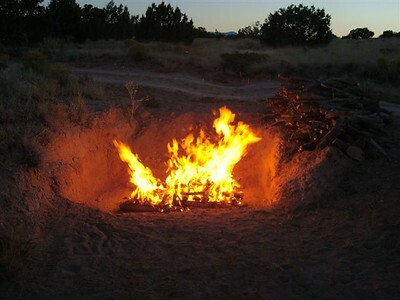 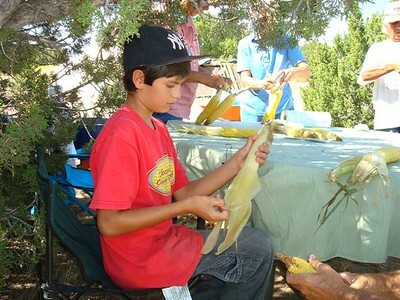 The following morning, we uncover the corn - ahhhh, the smell of roasted corn fills the air! 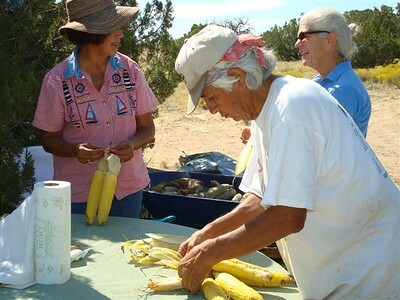 A special offering is made and then everyone gets to taste one! 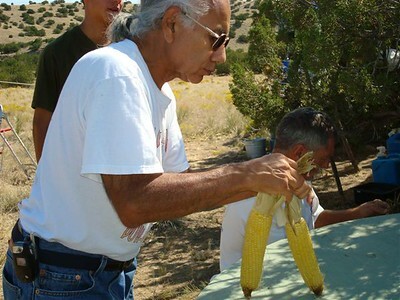 Pueblo elder, Phillip Duran receives the blessing of the roasted corn. 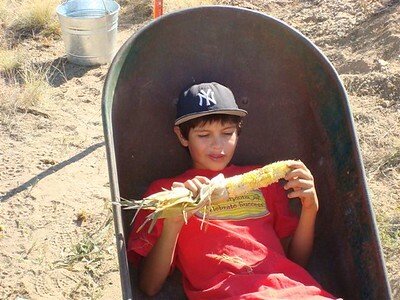 Ashes are carefully removed from the corn husks as we load the corn harvest into wheelbarrows. 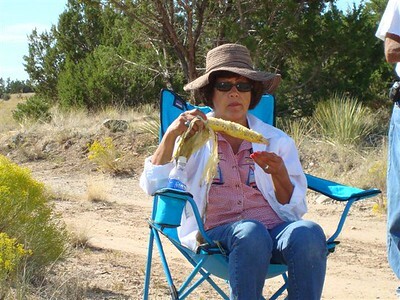 Norma Duran enjoys the fresh roasted corn sample. 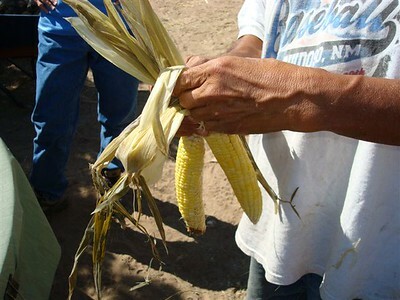 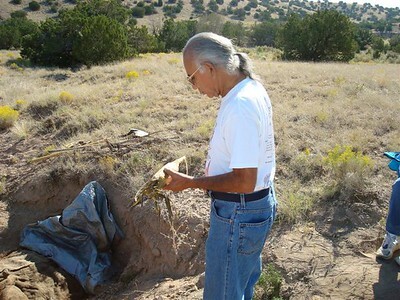 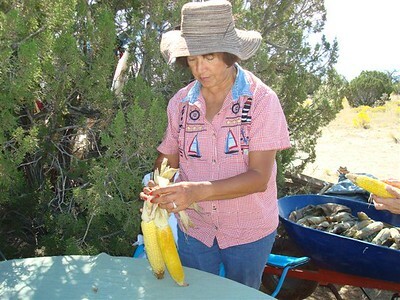 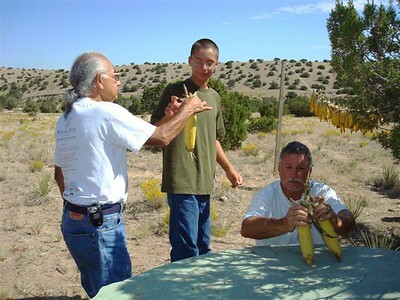 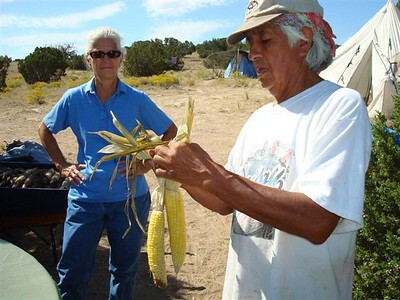 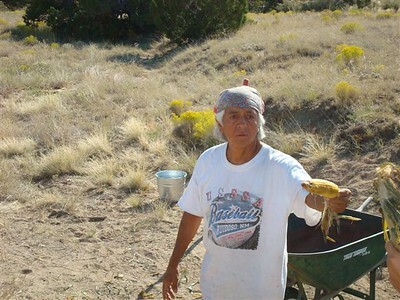 Pueblo elder, Larry Littlebird teaches us to braid corn in pairs for drying. 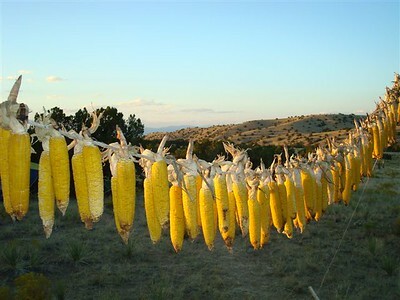 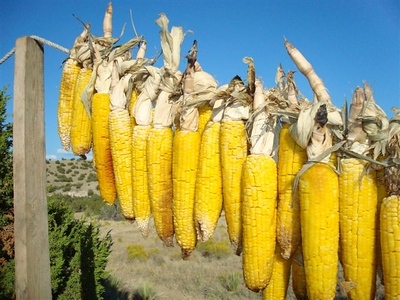 Corn hangs out to dry for a week and then is stored for use throughout the year in healthy Native stews.